The Sky Pencil Holly, Ilex crenata 'Sky Pencil', is an evergreen Holly cultivar. It would be a great way to give some vertical definition to your perennial bed, or use a couple as container plants on your patio for some decorative flair. No matter how small your yard, or how little planting space is available, there's always room for a Sky Pencil Holly! Just as the name implies, the Sky Pencil Japanese Holly grows pencil-thin, up into the sky, creating a tight, column effect. 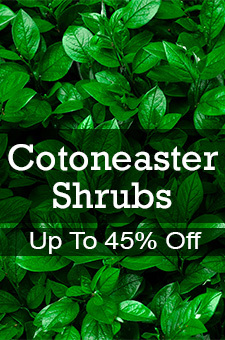 The effect is dramatic, and sure to turn heads wherever you plant one. The 1-inch long, dark green elliptic leaves fill out the branches nicely. Small greenish-white flowers appear in spring and later develop into ¼-inch purple berries. Butterflies and bees will love the spring flowers and your birds are sure to gobble up the fall fruit. Your Sky Pencil Holly is truly a one-of-a-kind plant and a must-have for any discriminating gardener. Its evergreen nature and unique growth pattern makes it arresting in any landscape and any season, and it's not even difficult to nurture. The Sky Pencil Holly will grow in sun or partial shade, transplants easily and requires no pruning to maintain its remarkable shape. However, it does adapt well to an occasional trim should you prefer to manage its size. If you're looking for something different that will stand out in your landscape, then the Sky Pencil Holly is for you. A non-traditional Holly with extraordinary features, the Sky Pencil is sure to bring beauty to your yard in every season and for years to come.